Wonderful! 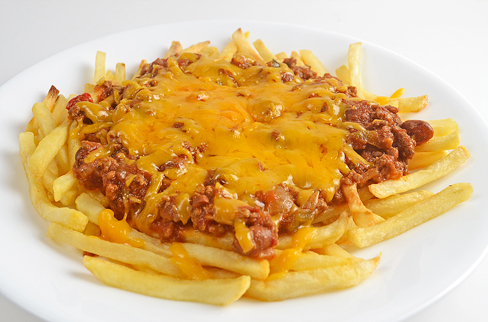 I must confess: I tend to go to one of the fast food joints to buy fries for meals like this. They warm up fine in the toaster oven and taste better than the stuff I tend to fry. — My menu is set for this evening, else I'd be scarfing this down. Keep the cards and letters coming, my friend. ADAM! Great idea!!!! McDonald's Fries would be amazing with this chili. I froze a couple of servings ... Guess what I'm having this weekend!